Northeast Commercial Floor Cleaning and Maintenance Services offers high-quality cleaning and maintenance services for tiles floors. Our floor cleaning services are listed below with a brief description of each. They can be scheduled for daily, weekly, biweekly, monthly or quarterly service as you request. VCT, vinyl composition tile, is found everywhere from supermarkets to factories to hospitals to residential kitchen floors. 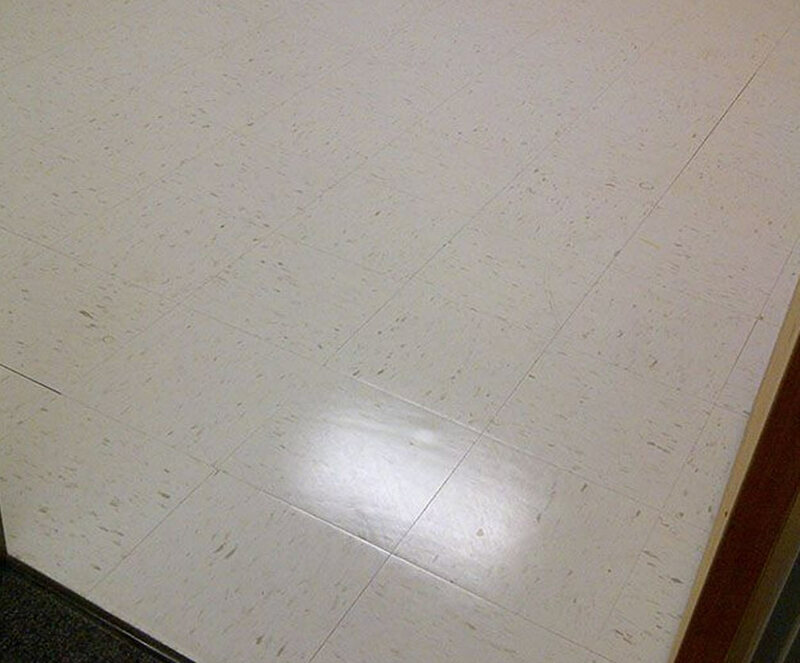 When polished to a high shine, few floor covering can compare to the clean, fresh look of a VCT floor. Since VCT is covered with wax or floor finish, maintaining the floor is more about preserving the brilliance of the wax coat. For this, a buffing machine, mops and above all, a routine schedule are needed. 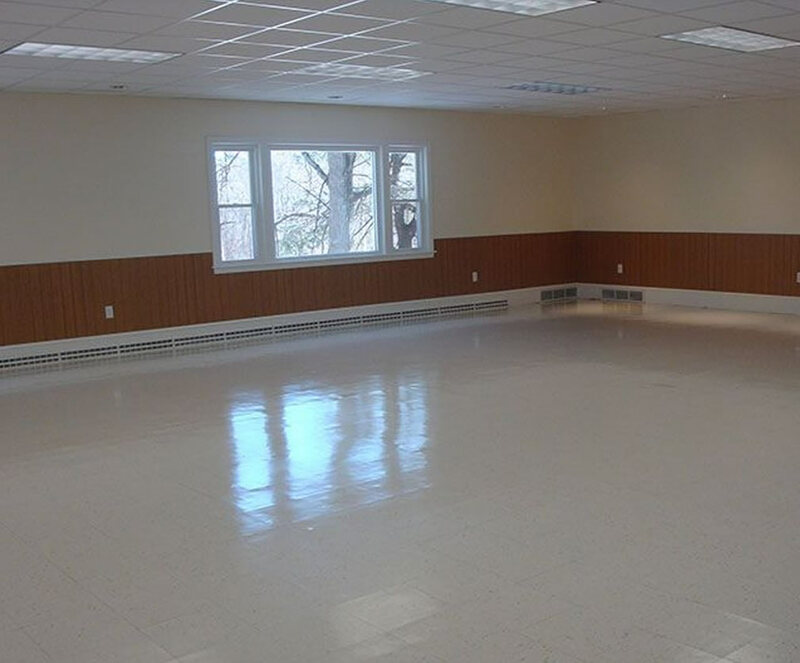 Northeast Commercial Cleaning Corporation takes pride in our floor services. Our floor care program is customized to your floor service needs (clean, strip and wax, buff). 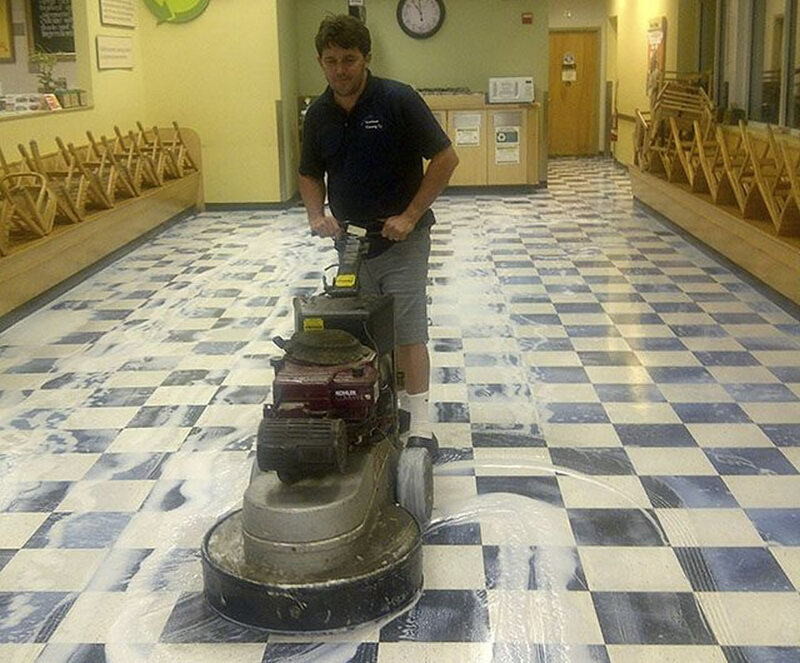 Our goal as your floor care service provider is to enhance and maintain the quality of a clean and professional appearance that is expected from you and your customers. STRIP AND WAX: Little dirt particles and dust inevitably get into your waxed floors, and over time the floor will begin to yellow from the light. To return your floors to the new floor shine and near the original condition as possible you will need a Strip and Wax. The Strip and Wax is recommended a minimum of every 12 months for low to medium traffic floors, and 4-6 months for high traffic floors. Floor service is customized for your facility. Our highly trained technicians are ready to help you to improve the image of your company with a professional Strip and Wax floor job. SCRUB AND FINISH: When floors lose their original high gloss look and appear dull, it is time to recoat. A planed scrub and recoat will provide optimum appearance and greatly reduce the need for stripping and waxing, saving time and money. BURNISHING (BUFFING): If the floor in your building lost their luster, it might be time to burnish them. 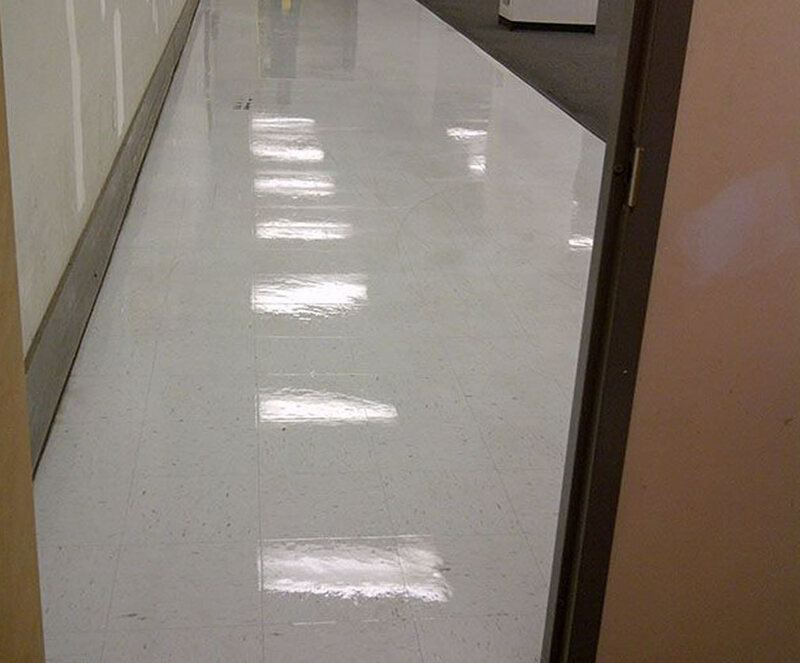 Burnishing (floor buffing) the floors in your facility gives them a high gloss or wet look. The process of burnishing uses an ultra high-speed floor machine to renew the floor surface. We offers many options with this Floor Care Program to ensure the quality appearance of your floors. Our buffing equipment range from very quiet electric buffers to ultra high-speed propane buffers. We know customers appreciate a quality job at a valued price. We don’t just promise the same level of excellence every time. We deliver. This is who we are and how we operate.